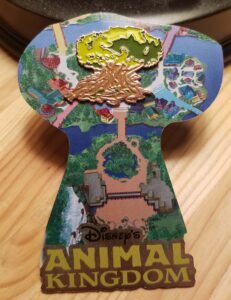 There have been hundreds of Animal Kingdom related trading pins that have come out over the years. 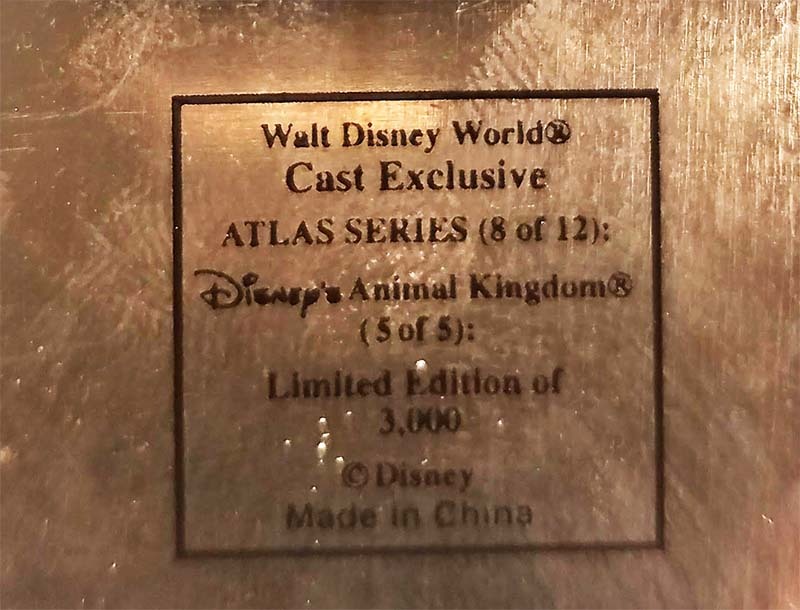 An early Cast Member exclusive series, the Atlas set, was released in 2001. This set was exclusive to Cast Members and limited to an edition size of 3,000. 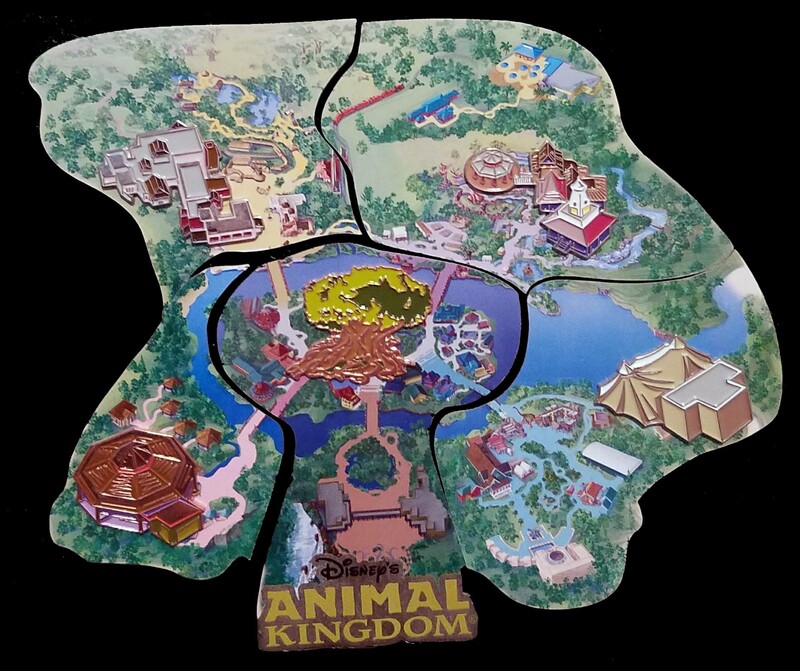 Each park map was broken up in a number of pins, which together formed the entire map. Each pin featured a pin on pin highlighting a major attraction of building of that area. Camp Minnie Mickey – Featured Festival of the Lion King. Not only has the Lion King show moved to a different home in Africa, but the land has completely transformed into Pandora / Avatar. Dinoland – The Dinosaur Jubilee can be seen prior to the transformation into Dino-Rama! Theater in the Wild has now been replaced with the air conditioned Finding Nemo – The Musical. Oddly enough, Theater in the Wild is the pin on pin rather than Dinosaur. 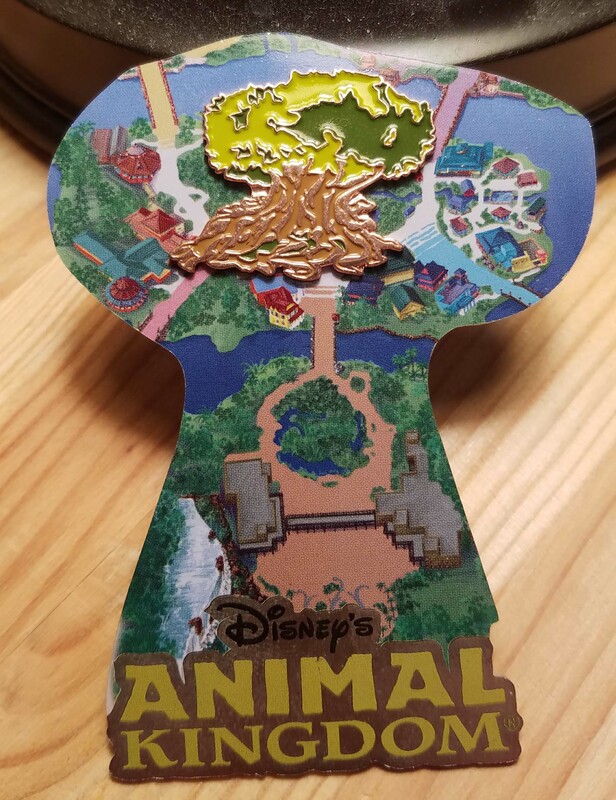 Asia Pin / Rafiki’s Planet Watch – Oddly enough, this pin contains both Asia and Rafiki’s Planet Watch (Conservation Station). 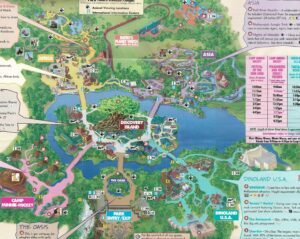 Without Expedition Everest yet added, Kali River Rapids was the highlight and only full attraction of the area. 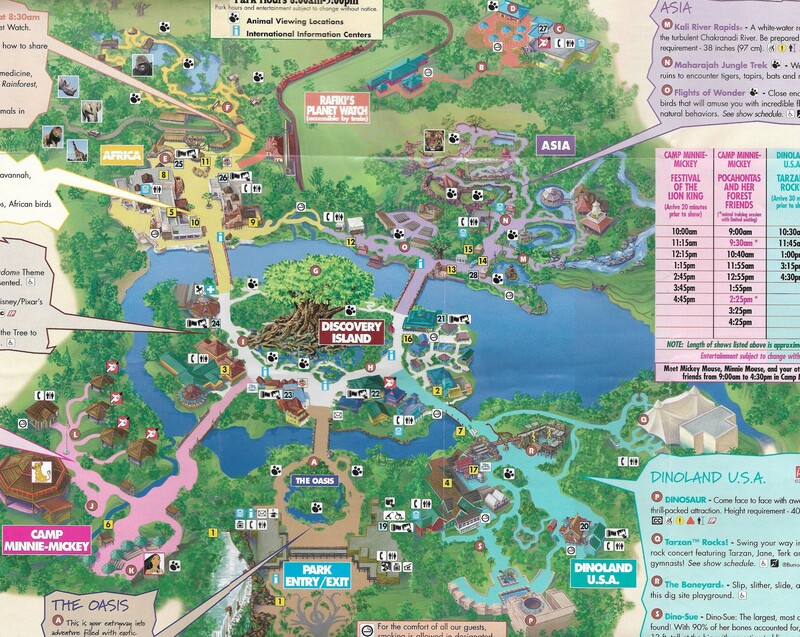 Africa Pin – The primary buildings of Harambe containing Tusker House represents the pin on pin. Discover Island (Safari Village) / Oasis – Similar to the Asia pin, this pin shares 2 lands on a single pin along with the main entrance. In this picture you can do a direct comparison of the actual 2001 map to the pin set. Aside from the exaggerated pin on pin elements, the pin set is a fairly accurate representation of the map itself.